Bachelor of Computer Science (BCS) is a 3 year Under Graduate course with a specialization in the domain of computer science, software and hardware related aspects. The minimum eligibility criterion which most of the institutes ask for is a score of at least 50% (relaxable for reserved category candidates) at 10+2 or equivalent level. The fee for the course varies between INR 7,000 to 2, 50,000 in India. The variation in fee is based on the location and nature of university (that is government, state/private/deemed etc.). Bachelor of Computer Science (BCS) course admissions involve Common Entrance Test (CET) based selection method as well as a merit-based selection criterion that is the percentage of marks obtained by the candidate at 10+2 or equivalent level. Colleges/Universities offering admissions through CET mechanism rely on the score of All India level common entrance exams like AUCET, CSSU CET, MUET, UPSEE etc while some of them go for a separate entrance exam of their own (like Lovely professional University etc). The course is a bachelor’s level program in the area of computer science which encompasses important areas like programming, software, hardware, and networks under its ambit. The motive of the course is to provide students sufficient knowledge and skills that would be effective enough to help them channelize their learning in a practical sense. 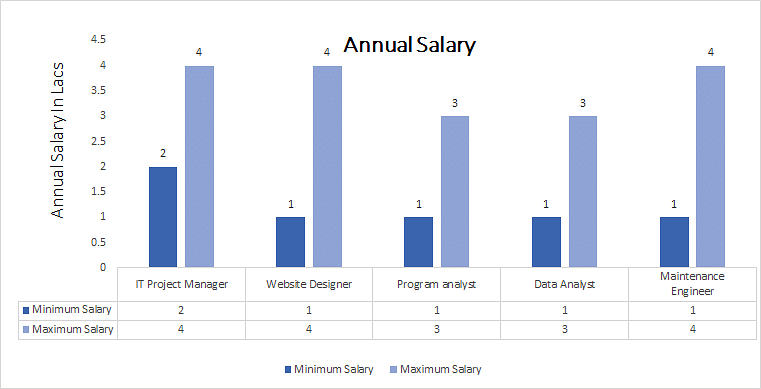 Bachelor of Computer Science (BCS) graduates have a wide range of opportunities to choose from in terms of job opportunities such as Software development, IT Management, Program analysis, Software testing, Website designing etc. After completion of graduation, one may pursue further studies in the said subject or may take up job opportunities associated. The average salary ranges between Rs.12000 to 16000 a month for a fresh graduate in the discipline. Job Position Software developer, IT Manager, Program analyst, Software tester, Website designer etc. Bachelors of Computer Science (BCS): What is it about? Computer science has been the most widely taken course out of all the technical courses that are offered at bachelor’s level in India. In today’s wired and digitized society computers and its utility is something that can’t be undermined. Bachelor of Computer Science (BCS) course provides knowledge and skills to the students in regards to computer basics, programming skills, hardware working, networking organization etc. These skills and knowledge are imparted to students in the face of theoretical subjects and practical modules that are taught to the students during the course of their graduation. The curriculum aims to provide the requisite knowledge and skill base to the students that a graduate would require to take on the challenges and needs of the job market as well as to build on that acquired knowledge base at higher levels of education. Bachelors of Computer Science (BCS) course is offered by many reputed colleges and universities across the country. Colleges are offering this course to candidates who have passed their 10+2 or equivalent level examination from a recognized state or central board. Candidate must have passed the 10+2 or equivalent (Diploma) examination from a recognized state or central board with at least 50% (relaxable for reserved category candidates) of the marks at 10+2 or equivalent level with Physics, Chemistry, and Mathematics as the major subjects of study. Most of the Institute give admissions through Common Entrance Test (CET) (like OUCET, UPSEE). To get admissions in these institutes candidates would have to qualify the respective entrance exam by securing minimum qualifying marks. The eligibility criteria’s mentioned above are common to most of the universities and colleges across the country that are offering Bachelor of Computer Science (BCS) course to the students. Bachelors of Computer Science (BCS) course admission procedure involves a common entrance test based admission process (as seen across various Universities and colleges in the country) as well as a merit-based selection process (in select few institutes/colleges). Most of the Universities/Colleges conduct a common entrance test for admission into Bachelor’s courses (like LPUNEST) or take admissions through commonly held entrance exam like AUCET, UPSEE, etc. Hence students would have to make an application for such exams. The new academic year begins after the completion of all the above processes. The syllabus of Bachelor of Computer Science (BCS) course is divided into 6 semesters spread over a span of three years with each year comprising of two semesters. The syllabus of the course is divided into various subjects and technical skills that students are taught during the course of their under graduation. The syllabus covers all the aspects related to computer science in a holistic manner so, as to provide a solid base and understanding of the subject to the undergraduate students. The details regarding the syllabus of the course are mentioned below so as to provide a reference to the candidates. Bachelors of Computer Science (BCS): Who Should Opt for? Students who have interest in regards to the study of computer science. Those who are looking for a career as a Software programmer. Those who are looking for a career in networking and hardware. Bachelor of Computer Science (BCS) undergraduates have plenty of options to choose from in terms of their career. One can choose to work as a Software developer, IT Manager, Program analyst, Software tester, Website designer etc. To provide you a holistic view of the career prospects of the course we have tabled certain areas and the respective roles attached to the same where BCS undergraduates can look for in terms of their career.